Home News LG has announced flip phone that runs Lollipop 5.1, for real! 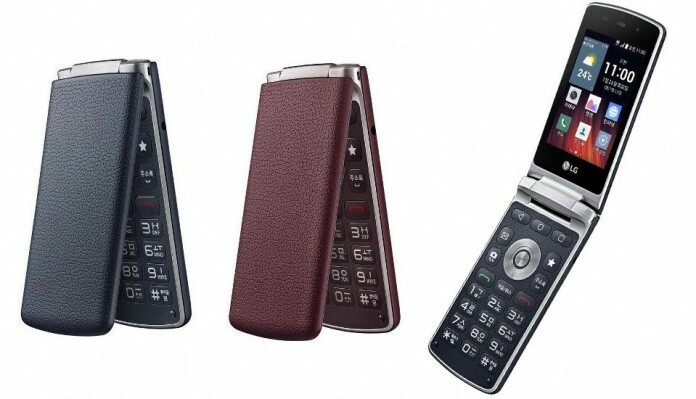 The LG Gentle Android flip phone is a classic story of old meets new, with the odd twist here being that probably not even your new phone is up to par with this 1999-ish phone’s cutting-edge version of Android. This clamshell handset with a 3.2-inch screen comes with Lollipop 5.1 installed — making it among the 1 percent of Android devices running Google’s latest iteration of Android. The internals are modest compared to the flagship Androids — with 1GB of RAM and run by a 1.1GHz quad core processor — but since it’s powering a low resolution 3.2-inch touchscreen instead of a big phablet display it should be more than enough to handle most apps. The Gentle (so named because of the faux-leather exterior perhaps, or because of its comforting familiarity) has barely any internal storage but is expandable with a micro SD card. It supports Bluetooth, Wi-Fi and mobile LTE connections. For now, the LG Gentle is available only in South Korea. Would you ever consider throwing away your iPhone 6 or Samsung Galaxy S6 Edge for an old flame from the past?